Blogs | Live Smart With Piumika | smart means everything…. Do you sometimes think about giving up? Should you entertain this notion seriously, or ignore it? When is it right to walk away? It’s an important issue which we haven’t really tackled much on the blog to date, which is why I was pleased when B.J. Epstein, a lecturer in literature and translation at the University of East Anglia in Norwich, England offered to write a post on the topic. BJ is a writer, editor, and Swedish-to-English translator. She absolutely loved her time doing her PhD and currently enjoys supervising doctoral students, but she is saddened by the number of PhD students who say how stressed and unhappy they are. Here she offers some advice for people questioning their commitment to their PhD. You’ve been plugging away at your PhD for a while now, maybe a year, perhaps a couple of years. But you don’t seem to be making that much progress. The prospect of getting up in the morning to go to the university or to continue work on a chapter doesn’t thrill you the way it did during the first few months of your studies. But you force yourself to do it, because you have to, right? Or maybe you can’t force yourself and instead you spend the day surfing the internet, chatting with friends, occasionally looking at an academic article, and when evening comes, you feel depressed and guilty. Time to give up the PhD? No, you think. You can’t give up on your doctoral studies. What would people say? How would you feel about yourself? Would your supervisors be disappointed? What kind of job would you be able to get if you can’t finish your PhD? Those are all natural concerns, but there are some situations where you’re actually better off letting go of the PhD and moving on with your life. If you are doing the PhD for the “wrong” reasons and you aren’t enjoying it or getting much out of it, then it’s time to let go. If you want to have a partner and/or children, concentrate your efforts on that, and don’t use your thesis as a substitute. If you don’t want those things but you are lonely and/or you feel you need something equally important in your life, carefully consider whether a PhD is actually that meaningful to you. It might be that you’d be happier if you made some new friends or found a new hobby or changed jobs. Other students have said that they couldn’t get a job, so they decided to continue with higher education instead. Think about whether a PhD will in fact help you get a job you want. If it isn’t leading you in the direction you want to go in and/or if it is just piling you with debt, then you might be wasting time. Similarly, if you are doing it because you think having “Dr” in front of your name will get you a job and/or other benefits, that isn’t a strong reason to continue. If you are no longer interested in your topic and you’ve lost your passion, it might be time to give up, but you need to ask yourself a few questions first. Most researchers go through phases where they are more or less excited about their work. Indeed, all workers have tasks to do that are less enjoyable than others. Have you temporarily lost your academic mojo? If so, what can you do about it? For some people, taking a short break (whether an actual holiday or a “staycation”) can be enough to reignite their love for their subject. Sometimes reading books on another topic altogether can help. Also, other activities – teaching, volunteering, going for a walk, spending time with friends – generally can help with research-related stress, and this in turn can help you re-focus. It may even be that moving on to a different chapter or working on a different part of your research is enough to help. Maybe approaching your topic from a new angle is all you need. Talk to your supervisors about this. But if you’ve been feeling disengaged from your work for a long period of time and nothing you try makes you care about it again, it is probably time to consider leaving it behind. If the thought of continuing with your research strikes you as drudgery that you just can’t face, that is telling you something, and you should listen to your feelings. An issue that can come up, however, as I mentioned above, is that some doctoral students worry that they would be ashamed if they scrap their thesis and their studies, and that others will be disappointed in them. While it is true that people generally feel better if they accomplish what they set out to and while it is also often the case that we are very aware of others’ expectations and desires for us, none of this constitutes a reason to make yourself continue on a path that is bringing you little joy or satisfaction. Also, your supervisors won’t want to waste time chasing you up to do work you promised but never delivered, and they, your friends, and your relatives would much rather you be happy than not. It is a hard, but brave, decision to make, and yes, it may involve disappointing yourself and/or others. There may be other implications as well (having to pay back student loans, needing to move, looking for a new job, a loss of prestige, and so on), but these all pale in comparison when you consider the fact that this is your only life, and you don’t want to waste it by pressuring yourself to do things that aren’t right for you. People claim that “quitters never win”, but actually, for some, quitting a PhD is the best choice they can make. With prices skyrocketing, why not ditch the car or public transport and hop on a bike? It’s a fact universally acknowledged that Australia is a bloody expensive place to live or even, it now appears, buy a cup of coffee in. This was highlighted to me the other day, when a dear colleague from work was forced to spend $5.30 on a regular cup of coffee (with soy milk) in a Melbourne café. Outrageous! Or, as she stated in an Instagram post, #overpriced. It was also highlighted by the Deutsche Bank which released its report comparing the cost of living between countries across the globe recently. Their report, Mapping the World’s Prices, showed that Australia topped the list of the most expensive countries to live in, stating we have some of the costliest public transport, petrol prices and even running shoes (a pair of well-known branded ones cost around $US92.30 or $A119). So with all this expense, price hiking and general high cost-of-living happening, it’s the perfect time for Australians to consider saving some money and riding a bike more – especially to work. 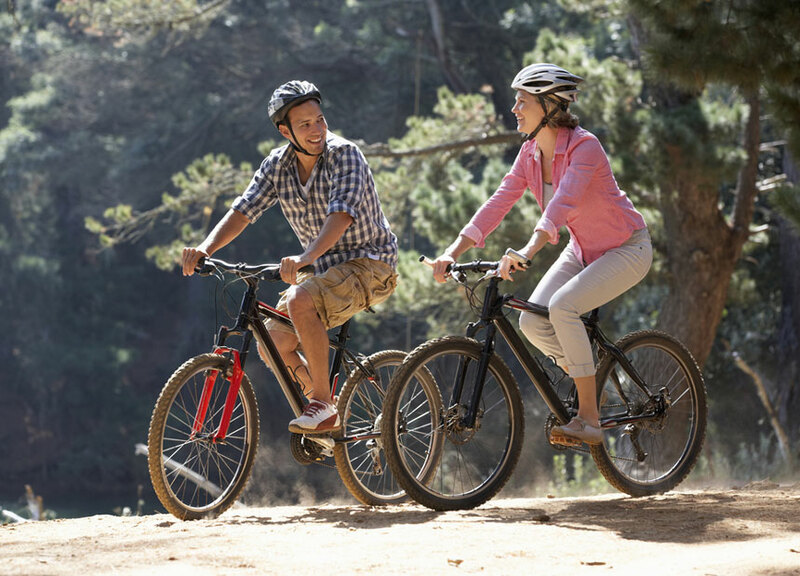 Let’s set aside for one minute, the fact that riding a bike has enormous benefits for your health and could lower your medical bills. That’s because you’re lowering your risk of diseases linked to a lack of physical activity like heart disease, Type 2 Diabetes and cancer – all costly diseases to the individual in more ways than one. Let’s instead look at the pure financial benefits of getting on the bike. Consider this – the RACV’s latest Cost of Motoring report shows that a medium vehicle can cost anywhere from $217-$320 per week to drive (including the cost of financing the car, depreciation, servicing, registration, tyres and fuel when driving 15,000km per year) over five years. These costs don’t take into account the cost of parking in the city, which as we all know costs a lot more than a cup of coffee – even a $5 one! In fact, the RACQ’s recent study on parking costsshow average costs of $64 per day in Melbourne’s CBD during the week, $75 in Sydney and $68 in Brisbane for off-street parking. 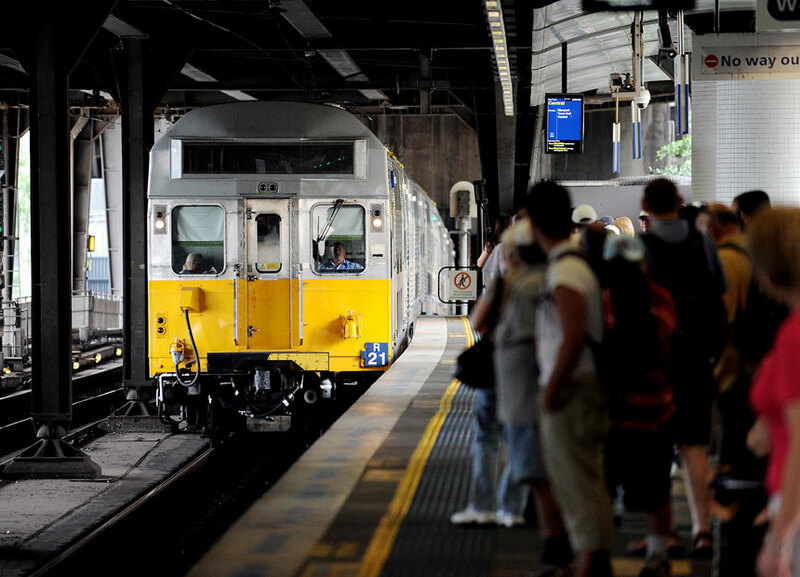 Then there’s public transport, which in Melbourne, costs $37.60 per working week on the Myki system for a full fare adult – more if you use public transport on the weekend. In Sydney a MyMulti 7-Day pass for public transport is $48 for a full fare adult in MyMulti1 areas (it’s more expensive outside these areas). Now consider the cost of riding a bike. A few years ago this was estimated at around $1000 a year (about $19 per week). Factor in CPI since 2011 when this was calculated and the cost is $1068.50 (about $20.50 per week). This includes costs for buying the bike, and gear like a helmet and lock as well as regular maintenance to keep your trusty steed in tip-top condition (and joining a bike organisation like Bicycle Network for insurance and other benefits). And you can park it for free! How beautiful is that? It’s lucky then, that my colleague rides her bike regularly to work – not only does it mean she is working on her health but she can afford to buy an overpriced coffee at that café. Melissa Heagney is Editor of Bicycle Network’s Ride On magazine. More and more people in education agree on the importance of learning stuff other than academics. But no one agrees on what to call that “stuff”. There are least seven major overlapping terms in play. New ones are being coined all the time. This bagginess bugs me, as a member of the education media. It bugs researchers and policymakers too. West studies what he calls “non-cognitive skills.” Although he’s not completely happy with that term. Yet he didn’t come up with a good name, either. So, in Webster’s tradition, here’s a short glossary of terms that are being used for that cultivation of the heart. Vote for your favorite in the comments — or propose a new one. The problem, says West, is that “if anything, all the evidence would suggest that in the closing decades of the 20th and 21st centuries, cognitive skills became more important than ever.” So this term, although it’s often heard in business and technology circles, doesn’t necessarily signal the shift in focus that some researchers want. Character education has a long history in the U.S., with a major vogue in the 1930s and a revival in the 1980s and 1990s. 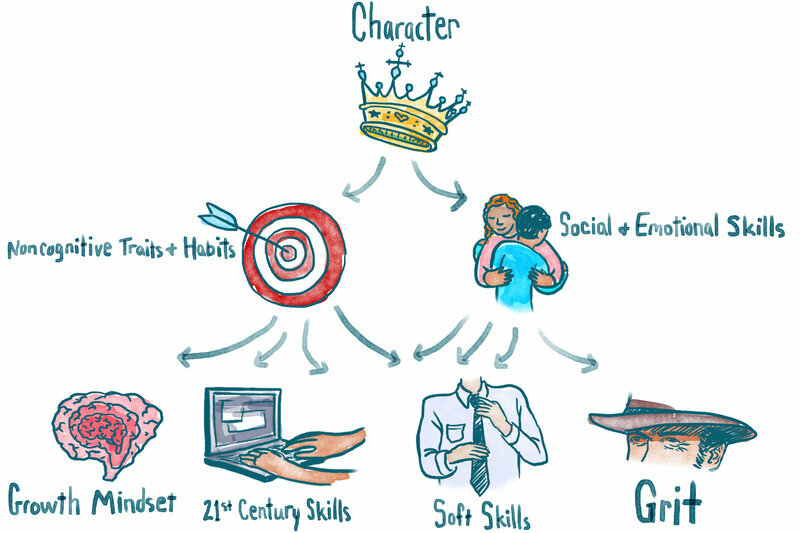 Beginning a few years ago, the KIPP charter schools in New York City started to emphasize a curriculum of seven “character strengths”: grit, zest, optimism, self-control, gratitude, social intelligence and curiosity. West argues that the use of “character” is inappropriate in research and policymaking because of its moral and religious connotations. He notes that many of the qualities on the KIPP list — grit and self-control, for example — are designed to prepare students for success. “That’s in tension with a traditional understanding of character, which often implies something being good in and of itself — which often includes some notion of self sacrifice,” says West. That distinction doesn’t bother Bravo-Willey. She says that the school is responding to parents’ own wishes that their children be happy and good as well as successful. Grit is a pioneer virtue with a long American history — think of the classic westernTrue Grit. When Angela Duckworth was working on her dissertation in the mid-2000s, she chose the term to encapsulate the measures of self-control, persistence and conscientiousness that she was finding to be powerful determinants of success. It quickly caught on — maybe too quickly, the University of Pennsylvania psychologist says. Carol Dweck, the Stanford University psychologist, chose the term mindset in 2007 for the title of her bestselling book. “Growth mindset” is the belief that positive traits, including intelligence, can be developed with practice. “Fixed mindset” refers to the idea that intelligence and other talents are set at birth. Mindset has caught on tremendously in both the business and education worlds. But Dweck’s concern is that it’s being used willy-nilly to justify any old intuition that people might have about positive thinking in the classroom. “When people start thinking, ‘I’ll make the kids feel good and they’ll learn,’ that’s how something like the self-esteem movement gains traction,” — a 1980s trend that led to lots of trophies but little improvement in achievement. This term is most strongly associated with the work of Nobel Prize-winning economist James Heckman. He analyzed large data sets to show that attributes such as self-discipline and persistence — not just academic achievement — affected education, labor market and life outcomes. Nobody I spoke with hates this term. The only problem is that the “skills” part may not be seen as encompassing things that are more like attitudes or beliefs, like growth mindset. And the “social and emotional” part, again, may be seen as excluding skills that are really cognitive in nature. So the struggle persists. Maybe one day there will be a pithy acronym or portmanteau to wrap all these skills up with a bow. SES? SEL? N-COG? Gri-Grow-Sess? Let us know what you think. Whoever doesn’t understand this can’t be helped. Environmental policy is not a luxury problem. Rather, it concerns us all. The rainforest is the lung of our Earth. When we don’t halt the destruction, we have doomed our planet. This native looks dirty and is covered in tattoos. But when she opens her mouth, I’m speechless..
It’s not just in your head. Thinking about negative and stressful things before bedtime really does keep you up at night. There are probably few people out there that haven’t experienced this in some way. You have a stressful day, a lot to do tomorrow, or even random reflections about past events that you just can’t kick before bed. 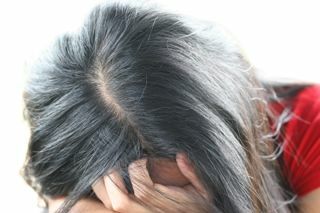 You may even lose hours of rest regularly to negative thoughts that persist. It’s well-established in psychology that ruminating on the past or unpleasant thoughts is a risk factor for insomnia and even mood disorders like depression. Some recent research has been focusing on how people can take control and purposefully redirect their repetitive or intrusive negative thoughts. From your bedtime to how you cope with stress, here are five helpful ways you can kick negative thoughts to get better sleep. I one recent study conducted by Binghamton University, researchers looked at participants’ propensities to worry, ruminate, or stress (all gauges of repetitive negative thinking) and at their sleep habits. They found that people who preferred to go to sleep late (evening types) had higher levels of negative thoughts compared to early sleepers (morning types). The same was true for people who slept for shorter periods of time overall. If you aren’t getting at least seven hours of sleep each night or you tend to keep late hours, this means it could prove helpful to shift your sleep schedule earlier. Try gradually moving your bedtime up in 15 to 30 minute increments to create a schedule that allows you to get enough sleep. Keeping fairly consistent bedtimes throughout the week and practicing some of the other relaxation techniques below can make the transition a little easier. One method of countering negative thoughts is to practice positive self-talk, popular with cognitive behavioral therapists. Essentially, negative self-talk involves habits like focusing on the cons of a situation and not the pros, personalizing blame, anticipating the worst, and polarizing between good and bad with no in-between. The idea is that when you catch yourself dwelling on negative thoughts, you consciously work to assess its validity and move on. Instead of obsessing over things that went wrong, look for solutions to the problem or do something to refocus your attention. (Positive affirmation, a prayer, or exercise, maybe.) Thinking about things you are grateful for can also be mood-booster, and one study found higher levels of gratitude correlated with better sleep. Guided relaxation can be helpful for clearing your mind and taking the focus off of negative thoughts. Essentially, a therapist or a recording guides you through a step-by-step process as you follow along. There are a few different types of guided relaxation program, and different types may feel more helpful to you than others. Traditional guided relaxation will work through relaxing your body and focusing on breathing. Guided visualization/imagery has you visualize a scene to occupy your attention. Progressive muscle relaxation takes a more physical approach of gradually tensing and relaxing different muscle groups. These types of programs can be done with a professional therapist, or you can also find numerous free videos, smartphone apps and websites with helpful resources. The Dartmouth College Health and Wellness page is one good resource with a variety of free relaxation downloads. Breathing techniques are a well-established way to promote relaxation and minimize stress. Similar to guided relaxation, the idea is to follow a set pattern that places the focus on your physical body and off of the thoughts that are bothering you. Breathing also affects heart rate, which can help you feel calmer. 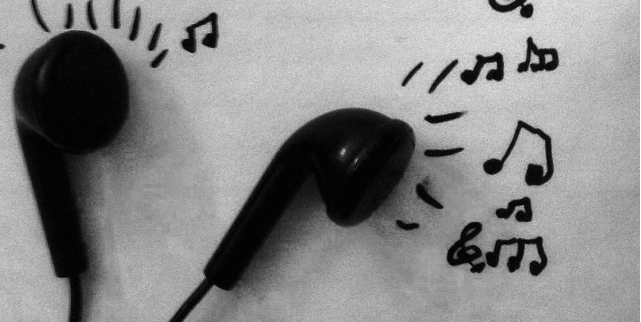 Music relaxation is another way to clear stress and can help you focus your attention or clear your mind of negative thoughts. A recent review of several music therapy studies concluded that music therapy helped people with sleep disorders when used consistently. There are different approaches, but actual music therapy is performed by licensed professionals in a clinical setting for specific health/wellness goals. However, music can also be used for self-relaxation at home. If you prefer to go it alone, try some calming music without lyrics such as nature tracks, new age instrumentals, or classical music. Put the songs on, and focus on the sounds and rhythms, keeping your breathing calm. You could also listen to upbeat songs you like and sing along or lose yourself in the lyrics to change your mindset. One study from the British Academy of Sound Therapy tested several songs and identified 10 that proved very relaxing, so that playlist might be a good starting place as well. The habit of ruminating or mulling over negative thoughts isn’t always an easy one to kick. These five DIY relaxation strategies can be much more helpful than simply trying to suppress thoughts, which studies have shown time again to be ineffective. Practice different methods to see what meshes best with your personality, and place the focus on relaxing your body rather than on banishing the negative thoughts themselves. If intrusive thoughts are having a significant impact on your sleep quality or life, reaching out to a trained therapist is also a good option. Have a helpful relaxation tip or strategy that works for you? Share in the comments below. Smart is smart. That’s obvious. But how exactly do you become smart? And how do you turn yourself into a productivity ninja? Generally, smart people are productive. Question – how do you become smart and productive? There are many ways, but one of the best is education. Teach yourself techniques and strategies to become bright and productive. Well, if you want to be cleverer than what you are now, you need to start by not spending too much. One of the best ways to do this is to read websites. Numerous sites offer free content to reach your goals of turning yourself into someone wiser and more intelligent. Numerous sites offer free content to reach your goals of turning yourself into someone wiser and more intelligent. 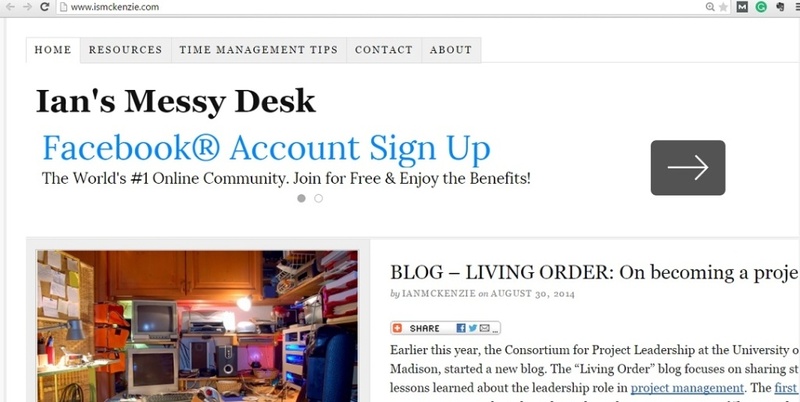 In this post, we’ll cover 12 smart productivity blogs you should be reading. I love these blogs. I have invested time reading them, and I don’t have any regrets. They’ve helped me learn more about personal finance, productivity, setting goals, forming good habits, GTD, time management, and other invaluable subjects. Steve Pavlina’s blog is recommended by many personal development freaks like me. If there’s what we call a well-rounded personality, his is a well-rounded blog. He writes about productivity, relationships, money, career, health, personal development, habits, and spirituality. What strikes me the most about Steve’s style is he writes about the lessons and tips based from his own experiences, and to me, that is powerful. One of the biggest productivity blogs and one of the smartest. Lifehack covers Lifestyle, communication, money, productivity, tech, and work. Those are the major topics, but it has more under each of those topics. 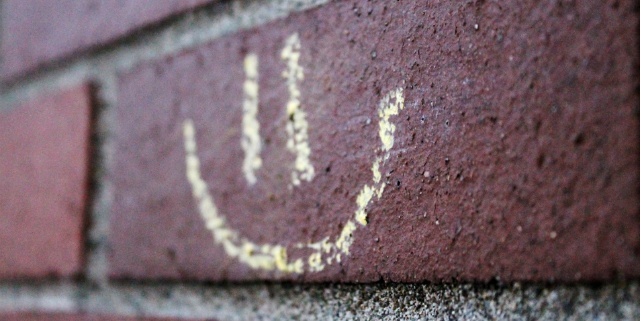 One of the dominant characteristics of the site’s posts is their being shareable-centric. Writer contributors love the fact that the audience share what they think is valuable and doable. Personally I’ve benefited from Lifehack’s ability to capture the fancy of its readers and its capability to motivate them to share content. I have to point out, though, that if the audience doesn’t find the content excellent, they won’t share it online. Like you need telling! 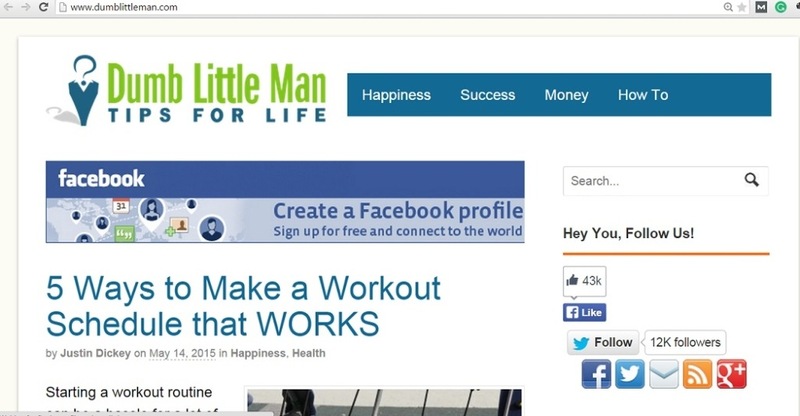 The owners summarize Lifehacker like this: Tips, tricks, and downloads for getting things done. I’m pretty sure you got the point! It’s where you can find any kind of tips, and tricks, and downloads that can help you do whatever you want to do. The website’s team categorized topics this way:Downloads (or more specifically, Windows Downloads, Mac Downloads, iOS Downloads, and Android Downloads), Windows, OS X, Linux, Android, iOS, and Windows Phone, How To, DIY, and more. In the words of the owner, Jay White, “the site is about productivity, exceeding goals, automation, and, well, finding a simpler way for everything.” Categories include happiness, success, money, how to, life hacks, health. You will surely enjoy reading more about the site. Start with the Dumb little Man’s about page. And just one look at the homepage, you’ll see that DLM has a well-balanced group of niches. For me, because I’m a tech-challenged blogger, I find the how-tos covering technology helpful. Go, check, if you haven’t yet. You’ll not waste your time. If you want to learn how to manage your personal finances well your site is Get Rich Slowly. The site is named a best blog by Time magazine andmost inspiring money blog by Money magazine. It’s devoted to sensible personal finance. Topics covered are Bank Reviews, The Basics, Money Hacks, Investing, Being Frugal, Enterpreneurship, Savings, Budgeting, Cars, Retirement, and Debt. There are more, but you’ll have to jump over to the site to appreciate it better. If you are looking for a blog that can teach you to develop simple habits to change your life for the better, I recommend Leo Babauta’s famous blog, Zen Habits. Time Magazine voted it as one of the Best Blogs of 2010. That’s a good reason for you to check his blog. What I like about this blog is that it uses a simple way to explain ways to acquire habits that can result to you becoming a more productive person and generally a better individual. The about page of a site sort of sets the initial mood of the reader during the first visit. 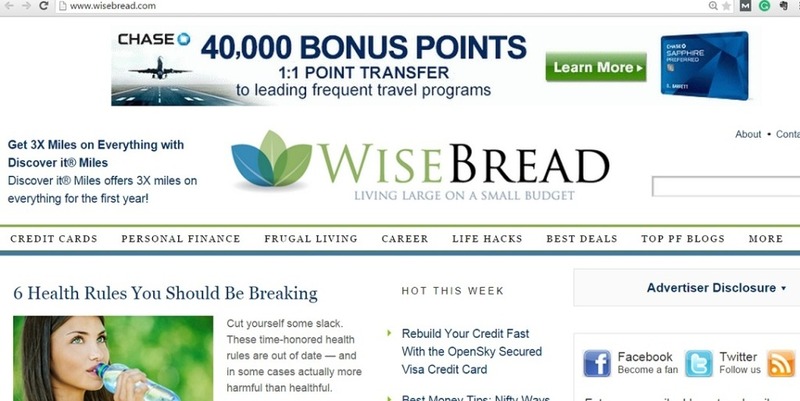 Checking Wise Bread’s about page you’ll read this: Wise Bread is a community of bloggers here to help you live large on a small budget. Despite what you may have heard, you don’t have to sacrifice your financial independence to enjoy life. Upon reading this short introduction, I was convinced and encouraged to patronize the blog. The site got me on “Living large on a small budget.” Who wouldn’t desire that? Topics covered are Credit cards, Personal finance, Frugal living, Career, Life hacks, Best deals, (and believe or not, they even feature other Personal Finance blogs). The first time I visited this wonderful blog, I was caught unaware I was being drawn in closer and closer to check everything about it,immediately. Not only because it’s part of my research, but because it has something I can’t ignore: honesty. What’s more, it’s sincere in helping people in the business of creating and finishing projects no matter how big or small they are. Productivity501 is a blog focused on serving tips and tricks to help you increase your personal productivity. Since it genuinely wants to do that, originality is it’s priority, so it’s generally slower than other sites with postings; it concentrates on original content only. The blog does its best to come up with one original post every week. However, the blog’s focus is on featuring something that will surely benefit the audience. One thing that distinguishes it from other productivity websites is that it has its own Youtube Channel featuring tips and tricks. The blog also frequently include tech tips on their featured posts. This way, tech challenged guys like me can have a field day every time they visit Productivity501. Focused on helping professionals to organize and improve time management so they can get more things done and create a greater impact. It’s also set to help them experience more satisfaction, and to transform their organization for the better. This blog separates itself from the rest by catering to organizations too, instead of limiting itself to helping only individuals. An added feature is the topic, leadership. Many productivity blogs cover leadership but The Daily Saint incorporates it into its main fiber. Looking for a blog that’s focused on time management and personal development has never been easier. Just click the name of the blog above and you’ll get in, pronto. Once inside, you’ll know you’ll never have a messy desk again. Well, that is if you follow the tips offered there. Right on its About Page, you’re assured you’ll not only get self-help tips but also be a beneficiary of teaching, coaching, sharing, and mentoring. So, if you feel you’re stuck somewhere you’re not comfortable in, or you need a little push to left you up where you’re at, feel free to navigate to IMD. It’s a smart move. Take it from your friend, Anthony (me). Among the sites here, this one has a different angle. It’s from an educator’s viewpoint. Bert Webb, the owner, has spent about 19 years of his life in academia enabling him to come up with wise advice regarding time management, productivity, and self development. Drop by the site and you’ll see such topics as developing writing skills, effective communication, powerful presentations, improving resumes, and so much more. It’s quite different from the rest of the productivity blogs because subjects are discussed with the wisdom of a teacher. I and my friends who are productivity experts highly recommend these blogs.